Panama City Beach is the perfect beach getaway with 27 miles of soft, powdery, white sand and emerald green waters where the St. Andrew Bay converges with the Gulf of Mexico. All open to the public and easy to access. It is possible to spend an entire vacation hanging out at the beach and ignore all the other fun things there is to do here. And do not let the size fool you. It may be small, but there is lots to do, especially with 320 days of sunshine a year. Plus, if you are military there are a lot of military discount offers available. 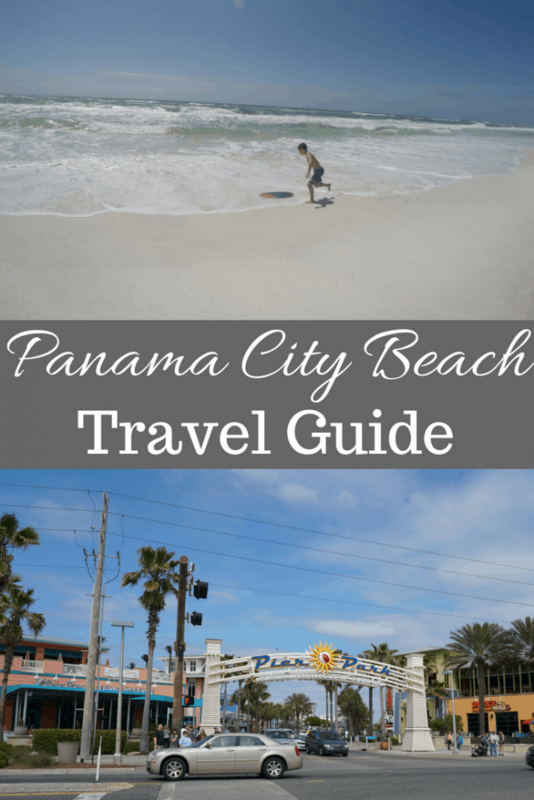 Panama City Beach day by day itinerary for families! For the shopper in the family, there’s Pier Park, a large outdoor shopping mall. There you will find all kinds of shops including a Nike Factory store, Dillards, and a Loft. An added bonus is all the restaurants located here too, including a Margaritaville and Pompano Joe’s. Kids will also enjoy the local water park, Shipwreck Island. They have water slides, a lazy river, a wave pool & rapids fill this tropical-style park. Admission is $35.98 plus tax for persons above 50 inches tall and $29.98 plus tax for persons below 50 inches tall. Children below 35 inches tall are admitted free. Take the kids to Just Jump to burn off some energy. This is an indoor trampoline park. The 30,000-square-foot facility is packed full of family fun with a large open jump area with a tumble track, TWO Soc-Air courts, dodgeball, basketball, a double trapeze and Gladiator Pit. The Ninja Course and Air Bag have the latest technology and unique designs. There are lots of places to go play mini golf in Panama City beach. They are all good, so no matter which one you decide to go to your family will have lots of fun. One of our favorite ones is Coconut Creek, because they also have a fun maze. Pirate’s Island Adventure Golf is another favorite. I’ve heard Goofy Golf and Emerald Falls are good too. There are lots of go kart places in Panama City Beach. Our favorite is at Cobra Adventure Park. One thing to keep in mind is if it’s been raining, then they won’t be running. All the tracks have to be drive in order for people to be able to go kart. To see some interesting birds and dolphins spend a few hours on Gurf World. They even have some shows you can watch including a bird show and a sea lion show. This is a great place to go if it happens to be raining. You can also swim with dolphins at Gulf World. Ripley’s Believe it or not is stuffed full of weird things to look at like a shrunken human heads & rare animal skeletons. WonderWorks has 100+ hands-on science exhibits plus laser tag, a ropes course & a 6D motion ride. Panama City Beach has a food tour and it’s a great way to enjoy the local food and learn about the area. Zooworld is Panama City Beach’s little zoo. It’s really small, but they really pack the animals in there. They have many animals including lions and a giraffe. Take a tour of the Bear Creek Feline Center: home to six species of lessor felines, including Jaguarundis, Florida Panthers, Bobcats, African Servals, African Caracals and Siberian Lynx. All tours are by appointment only and can be arranged by calling 850-722-9927. A minimum $50 per person donation is required, which makes this a pricey activity. Like most cities in Florida, Panama City Beach has a lot of golf courses. Hombre Golf Club – Adam Brack offers kids lessons at this course. 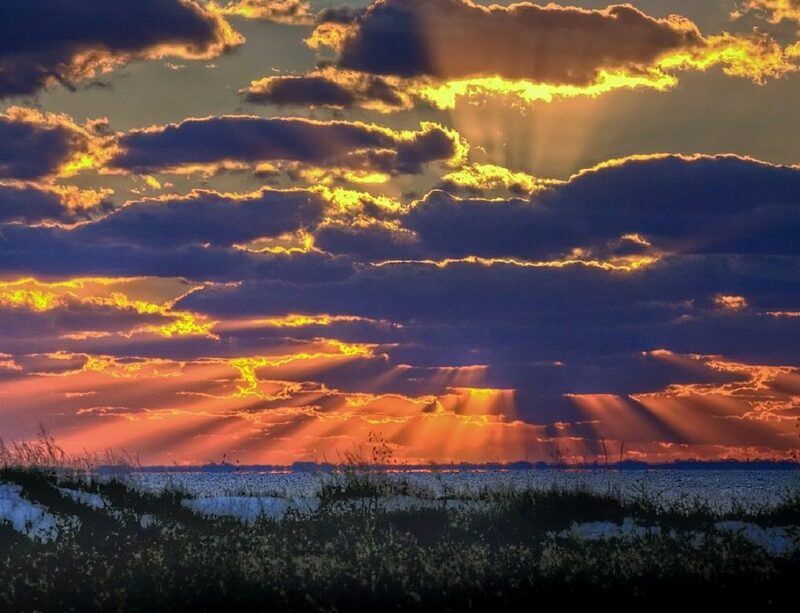 St. Andrews State Park is one of the most popular outdoor recreation spots in Florida, the park is characterized by rolling, white sand dunes separated by low swales of pinewoods and marshes. 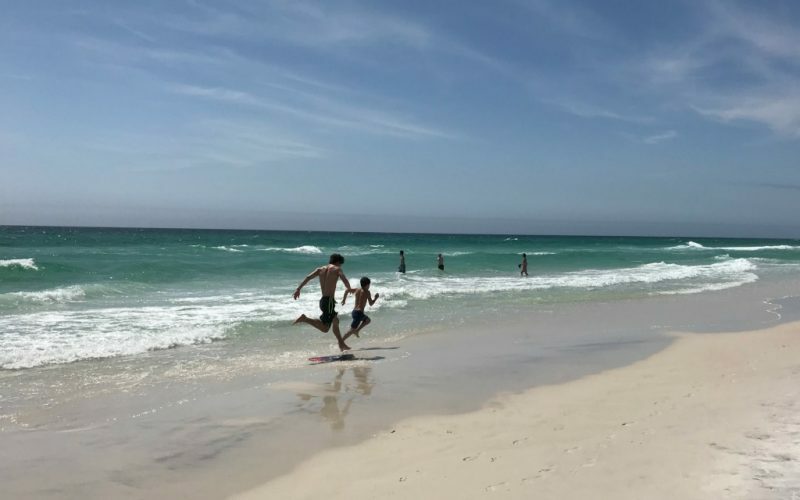 The 1,260-acre area, located on the eastern edge of Panama City Beach, has more than a mile and a half of beach on the Gulf of Mexico and the Grand Lagoon. Swimming, diving and snorkeling can be enjoyed in the Gulf and in the shallow, protected pool behind the jetties. This is a great spot for little kids to swim. A deep-sea jetty and surf fishing offer opportunities for anglers, as do two fishing piers, a boat ramp and concession stands. Park visitors can also rent bicycles, canoes, kayaks and snorkeling equipment. Visitors can hike the Blue Heron Trail that winds through myriad plant communities. Here, freshwater and saltwater marshes teem with wildlife and birds. Another hike is the Gator Lake Trail with an elevated vantage point for spotting alligators and a variety of waterfowl, wading birds and other small animals. Button Bush Marsh is a favorite feeding place for a variety of birds including herons and ibis. Spend a day out at Shell Island the uninhabited island near Panama City Beach. The beach is free, but there is a cost to get out there. You can catch a boat shuttle over during the spring and summer or rent a boat to go over. Shell Island is a pristine barrier island situated just across the shipping channel from the mainland. It is 700-acres of undeveloped island. Shell Island is a peaceful spot for a beach walk, collect sea shells, have a picnic, go snorkeling or just relax and enjoy nature. The area surrounding the island is home to one of the largest concentrations of bottlenose dolphins in the country. If you want to do some free activities that is totally possible here. Here is a list of free or super cheap activities you can do in Panama City Beach. There’s a big recreation center with a little water park and playground at Frank Brown Park. The playground is big and has nice white soft sand for the kids to play in. It’s close enough to the beach that even on hot days there is usually a nice breeze coming off the gulf. The Panama City Beach Conservation Park offers boardwalks and 24 miles of unpaved trails for hikers and bikers to these see wetlands. This 2,900-acre tract of West Bay Ecosystem is being restored using reclaimed water to return a natural balance back to a once-threatened set of wetlands. Visitors can enjoy the Conservation Park’s boardwalks and 24 miles of unpaved trails as they hike, bicycle or run loops that range from half-a-mile to 11 miles. Gayle’s Trails connects to the Conservation Park trails with other trail systems throughout the beach. Public restrooms, picnic areas, a guide to local flora and fauna, and a pavilion is located near the main parking lot, while an outdoor classroom provides a venue for group educational and enrichment opportunities. Additionally, eight boardwalks totaling over a mile in length are scattered throughout the park, providing excellent views of natural wetland areas. Camp Helen State Park is not free, but it is super cheap. The park is bordered by the Gulf of Mexico and Lake Powell. Lake Powell is one of the largest coastal dune lakes in Florida. Natural areas range from coastal dunes and salt marshes along the Gulf to freshwater wetlands and sand pine scrub along the lake. Activities include swimming, beachcombing, nature study, hiking, and both freshwater and saltwater fishing. Hours: 8:00 a.m. until sunset, 365 days a year. Fees: $4.00 per vehicle. Use the honor box to pay fees. Correct change is required. Limit 8 people per vehicle or $2.00 for Pedestrians, bicyclists, extra passengers, passengers in vehicle with holder of Annual Individual Entrance Pass. Almost all of the pure white beaches here are free to the public, as is the parking. At the beach you can swim, boogie board, snorkel, skim board, build sand castles, paddle board, kayak, surf, collect sea shells, and fish. You can pick up cheap beach gear and toys at almost any store in town including a dollar store. Fun Fact: The pure white color of Panama City Beach’s sand results from quartz crystals washing down from the Appalachian Mountains centuries ago. The crystals were bleached, ground, smoothed and polished along their journey, eventually washing up along the shore of the Gulf of Mexico. If you are up for a day trip head over to nearby Scenic 30A. Here you will find tiny adorable beach towns like Aly Beach, Seaside, or Rosemary. Rent bicycles and bike town to town. Another interesting day trip just a bit further is Sandestin’s Baytowne Wharf. 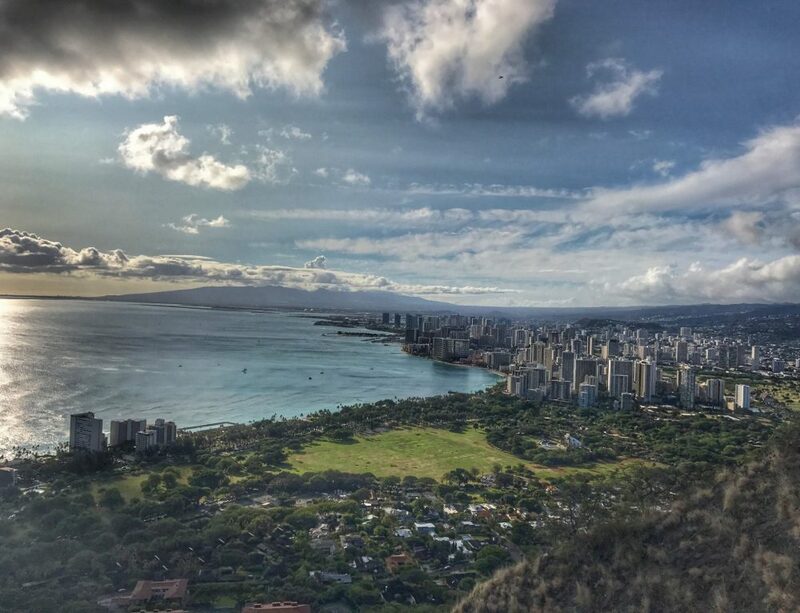 Here patrons can indulge in boutique shopping, zip lining, ropes courses, an arcade, and unique eateries. Go canoeing/camping/hiking at Econfina Creek. And while you are up that way, be sure to check out Pitt Spring. It’s a great way to see the beautiful fresh water springs without having to buy or rent a canoe. There is a shallow end of the spring for the kids to play and wade around in. There is also a beautiful nature walk that leads to another very shallow place where even babies can play. Some people even snorkel there. FYI – There is not a lot of parking. Florida Caverns State Park, located near Marianna, FL is a bit of a drive, but worth it if you have time. Unfortunately, you cannot make advance reservations for a tour. Tours are offered on a first come, first serve basis, which means you might have a really long wait. Cold Spring Eco-Adventure is a day trip to a cold spring and cave. 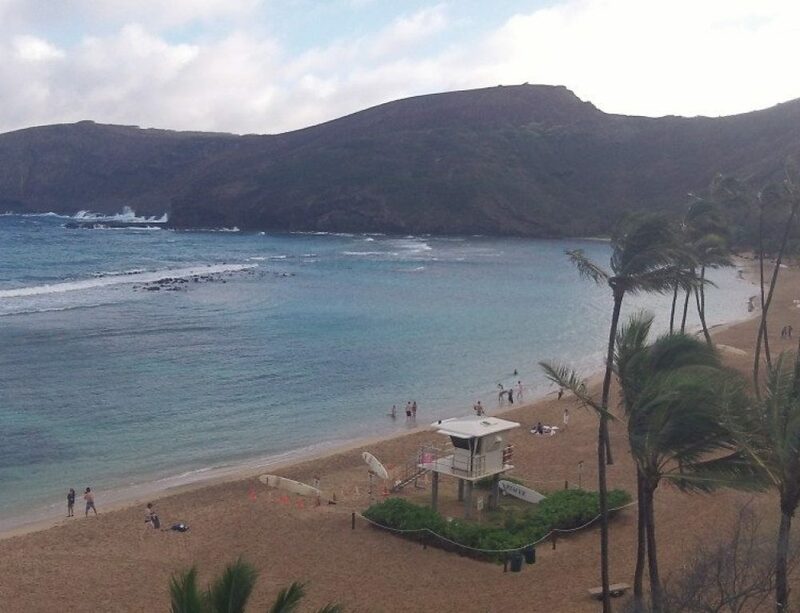 You can kayak, paddle board, snorkel and more. Sheraton Bay Point Resort is our favorite place to stay. It’s a little off the beaten path, but so worth it. They have rooms with kitchens or regular hotel rooms. I recommend staying in the main building in a regular hotel room with views of the bay. Splash Condominiums are another great place to stay, especially for families. It’s right on a nice stretch of beach and it has a water playground. Parents can sit in the hot tub while the kids run around the splash area. 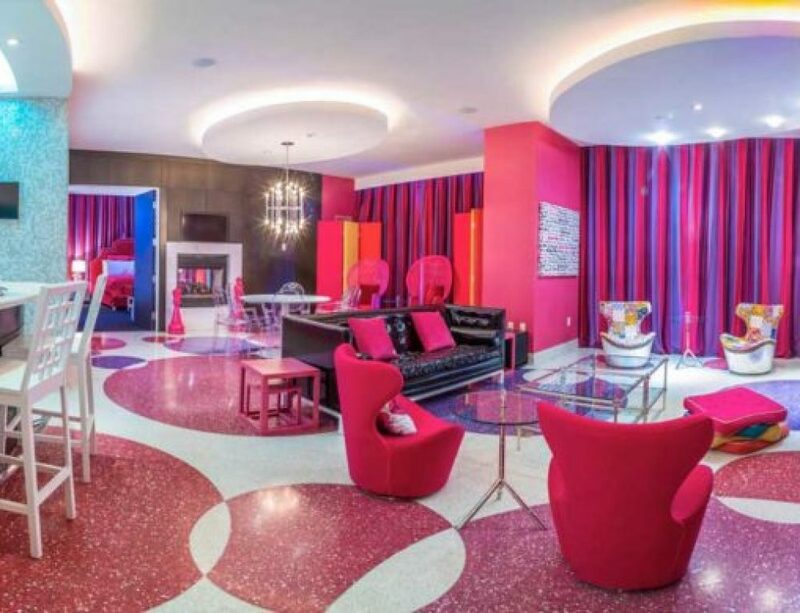 There are a ton of privately owned houses and condos you can rent for your vacation. You can find places to rent on VRBO. These days I am planning all of my restaurant selections by what will look the best on Instagram. The food can’t just look good though, it’s gotta be great food too! 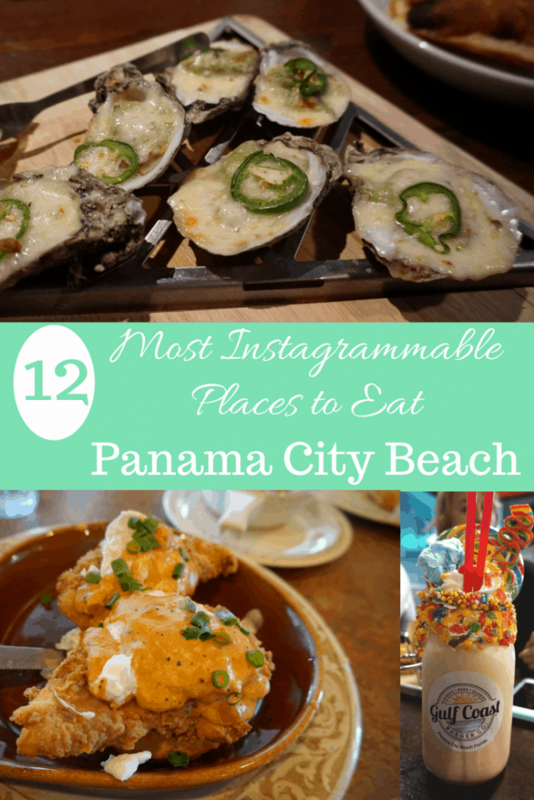 Here are some of the most Instagramable places to eat in Panama City Beach that are also delicious! And be sure to see our review of the best restaurants in Panama City Beach. The Yard Milkshake Bar at Pier Park has amazing over the top milkshakes. The wait is a little long, but worth it. The food is phenomenal and so photogenic! This is hands down my favorite place to eat in PCB. Milkshakes at the Gulf Coast Burger Co. The Gulf Coast Burger Co. also has colorful over the top freakshakes and typically no wait. They also have customizable burgers and fried pickles. Coco Locos is a tiny walk up bar at Pier Park serving fun Tiki drinks. The Grand Marlin is such a great experience. I felt like everything we ordered was gorgeous, especially the oysters and martinis. 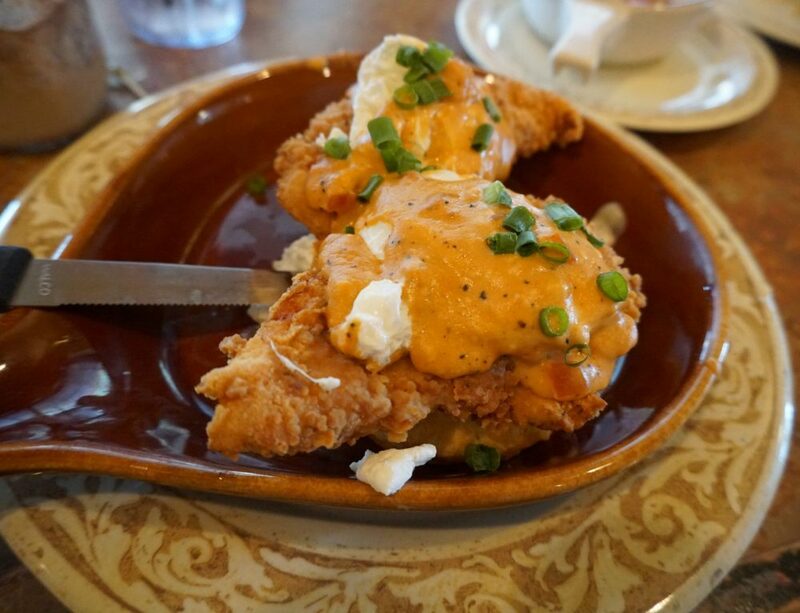 Schooners’ Bloody Mary makes a great Instagram post. Their food is good and I love their location right on the beach. Salt Water Grill has seafood, steak, and fabulous martinis. The food is great, but it’s awesome how they plate the food. Spinnakers is more known for the nightlife as it should be, but their nachos make a nice photo. These colorful crepes are pretty and tasty. Look how good looking these donuts are and I didn’t even get that good of a photo of them. There are a few Finn’s around the area and they all serve beautiful food. The Pour is an adorable little coffee shop.